Dummy setCouplings for a four point interaction This method is virtual and must be implemented in classes inheriting from this. 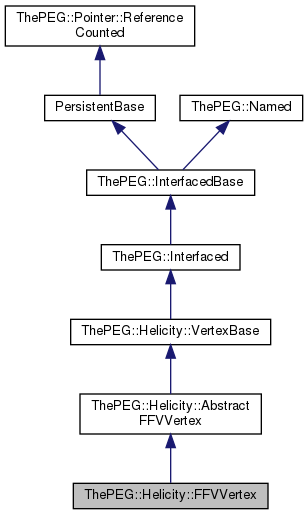 The FFVVertex class is the base class for all helicity amplitude vertices which use the renormalisable form for the fermion-fermion-vector vertex. Any such vertices should inherit from this class and implement the virtual setcoupling member function. The base AbstractFFVVertex class is used to store the particles allowed to interact at the vertex. Definition at line 39 of file FFVVertex.h. Definition at line 221 of file FFVVertex.h. Definition at line 238 of file FFVVertex.h.